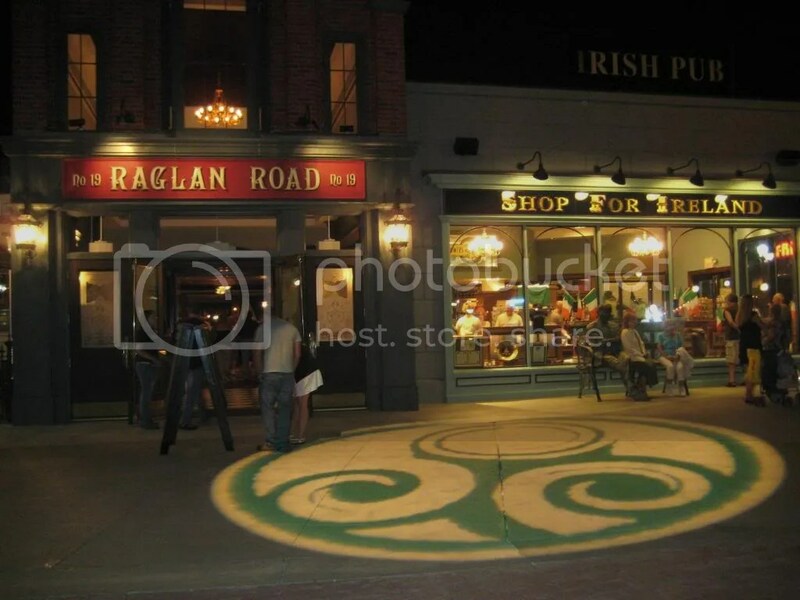 Raglan Road Irish Pub is an Irish Eatery at Downtown Disney’s Pleasure Island that I’ve been lucky enough to have eaten at a few times. It just so happens that since JC’s birthday was yesterday we are going to Raglan Road tonight to celebrate! Happy day after birthday JC! Over a week ago the family, JC and I went to see Tim Burton’s new Alice in Wonderland in ETX 3D. What is ETX? Well, it is AMC’s attempt at an IMAX killer. It’s a 20% larger screen with extra audio channels and power, just like IMAX. The main difference? AMC doesn’t have to pay IMAX licensing fees. The screen was big and the audio was good. Is it worth the extra coin to go to it? That will depend on what movie you see it in. Alice in Wonderland was the first movie shown on the first ETX screen in the world! Pleasure Island (why do they still call it that?) is where the screen is and where we saw it. Alice in Wonderland on the other hand was worth every penny and I’ve been meaning to sit down and blog about it since that night. Unfortunately life has gotten in the way and I’ve gotten behind. I don’t normally post twice in one day but this is breaking news and I just learned about it!!!! A sad day is coming. Disney has announced that all of the clubs at Pleasure Island will close in September. Disney already has a FAQ up here. Ever since Disney added the West Side shopping district Pleasure Island was in the way. Two family friendly areas separated by a large “Adults Only” area wasn’t going to work. We thought we saw the solution when Disney opened Pleasure Island’s pathways and added a couple restaurants and kiosks to service the families during the day, but keeping the clubs pumping after dark. Unfortunately, we had only seen the beginning. Disney is going to “re-imagine” the area with family friendly shopping and dining options. Meaning it will be JUST like the other two parts of Downtown Disney. I really think that Disney is making a mistake. I believe that Pleasure Island catered to a different type of crowd and by eliminating all the clubs, these tourists and locals will go elsewhere. Where will they go? The newer, better and soon to be only game in town. City Walk at Universal. There is another article about it from the Orlando Sentinel here. Your last chance to dance on the spinning dance floor at Mannequins or to hear some stand-up at The Comedy Club is September 27th.